Libyan authorities restrict internet access ! 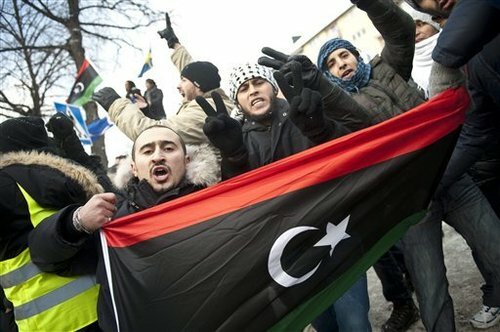 The Libyan government could pull the plug on the country's internet as protests sweep the country. On Friday and Saturday night the country experienced a near black-out, with continued patchy access this week, according to a Google Transparency Report. Libya has had periods of partial or total unreachability through the weekend. The first night's internet blackout was repeated 24 hours later, with all prefixes unreachable from 1am to just after 8am Sunday morning, said James Cowie from internet monitoring firm Renesys. "At the moment, however, the Libyan prefixes are reachable, traceroutes inbound are completing at normal rates, and key commercial and government websites that we spot-check are responding normally," James Cowie wrote in a blog post. Libya's access to the international internet is controlled by a single company, which is run by the state, Cowie told CNN. That would make it easier, in theory, for the country to shut down internet connections than it was in Egypt, where the government had to call several internet service providers and order them to cut service as part of emergency law, he said. However, the cause of the blackouts remains unclear and could be due to an internet traffic overload or simple power outages, rather than a government crackdown, said Cowie.